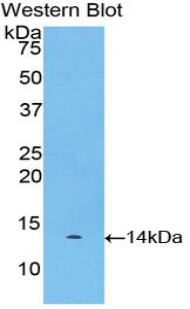 Myostatin antibody LS-C701046 is a Cy3-conjugated rabbit polyclonal antibody to Myostatin (MSTN / GDF8) from bovine and cow. Validated for WB. Recombinant MSTN (Asp267-Ser375) expressed in E. coli.